melanin by a reduction reaction. Another application of AA-2G in cosmetics is control of skin pigmentation. Due to its antioxidant properties, this compound reduces the rate of melanin synthesis, thus preventing skin darkening after UV exposure. Earn up to 368 Points Points. 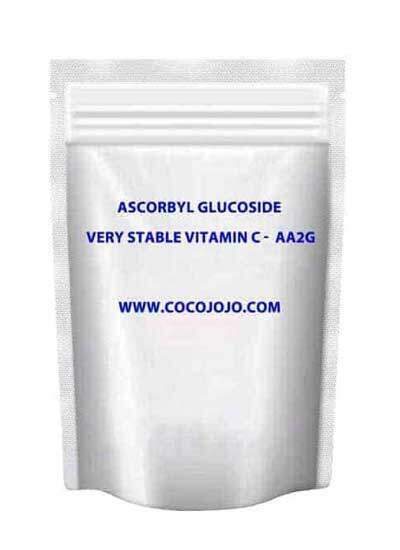 Ascorbyl Glucoside – AA2G is a very stable natural vitamin C, containing glucose stable ingredients, with the formulation stability of excellence, will essentially inhibitory discoloration and degradation and retains all the biological activity. AA2G not only for whitening, but also to brighten the skin, which plays a role in protecting the skin in sunscreen products. It has been known for many years that the use of vitamin C (ascorbic acid) can result in brighter, healthier, younger looking skin. Science has discovered that this lightening effect is related to the ability of vitamin C to suppress melanin synthesis and reduce existing melanin. The challenge with using vitamin C in health and beauty formulations is the fact that it can easily lose its biologic activity because of heat, oxidation, and reactions with metal ions and other common cosmetic ingredients. This causes discoloration in the cosmetic formulations and dramatically decreases the ability of vitamin C to provide the benefits of younger looking healthier skin. To overcome these problems, Hayashibara partnered with a renowned cosmetic chemist to develop a new substance consisting vitamin C and glucose using a novel enzyme manufacturing process. This has resulted in a unique stabilized vitamin C called L-Ascorbic Acid 2-Glucoside (AA-2G). 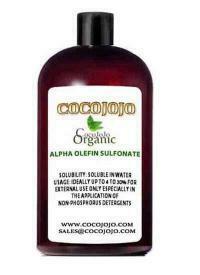 This vitamin C derivative, which is now being sold under the trade name AA2G, has superior formulation stability that essentially resists discoloration and degradation, while retaining all the biologic activity that provides lightening, UV damage and anti-aging properties. AA2G is highly stable in solution even at high temperatures, low pH and in the presence of metal ions. This results in AA2G helping to maintain product quality. An enzyme releases vitamin C from AA-2G at the cellular surface and provides benefits over a sustained period of time. AA-2G is hydrolyzed by ?-glucosidase, an enzyme present in the membrane of skin cells. 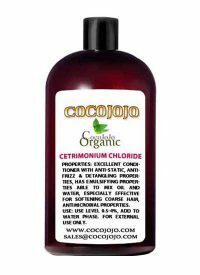 This process releases vitamin C in its active form. When vitamin C enters cells it results in significant and well-documented biological responses. AA-2G is hydrolyzed over a prolonged period, resulting in consistent and sustained beneficial physiological effect on the skin. Use level: 1-3% but up to 10% (for skin-lightening effect). Applications: For external use only. 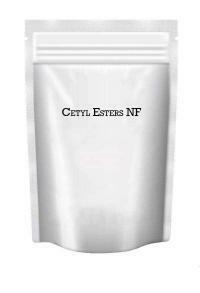 All kinds of cosmetics requiring emulsification as lotions, creams, gels, hair conditioners.